The junior class of Napavine High School hosted their prom on April 24, 2018. It was hosted at the Washington Hotel in downtown Chehalis. Prior to the dance, much of the student body made plans to go to dinner. Students met up with friends and family to take pictures. Lots of the girls had beautiful gowns in vibrant colors. 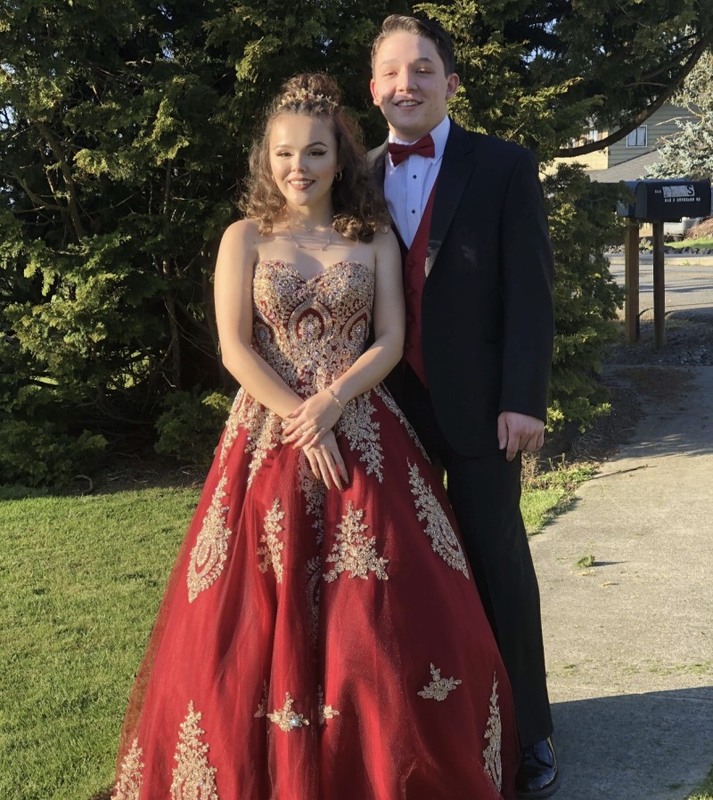 Napavine student Cirstyn Ellison wore a gorgeous floral pink dress to her senior prom. Seniors Emilie Evander, Mollie Olson, Jordan Purvis and a few others had a limo to arrive in. There was a lot of buzz about the fancy food people were eating. Noah Lantz, a senior and his date visited the Melting Pot. Tickets were sold two weeks prior for $15 with ASB and $18 without. The junior class did not expect such an astonishing outcome. Once at the door, students who hadn't purchased tickets beforehand, were required to pay $20 to get in. Kids were delighted by the amount of people who decided last minute, to join the party. Colby White was one of many, he surprised his girlfriend, Laura Sandoval. The DJ was Rafael Hansen, who has hosted many other events. The music was loud, fun and spectacular. At one point, students were jumping so hard that the floor began to shake. In the corner, kids were taking pictures with Heidi Marshall. Marshall has been working at the past three dances for Napavine. The most notable event of the night was the announcement of Prom King and Queen. Mollie Olson won the title for Prom Queen and Noah Lantz won Prom King. Overall, Prom is a very important aspect of high school. Students come back with great stories to share and learn social etiquette. It is a staple to ASB as it raises a lot of money for other school activities. Prom is the social backbone for high school.